In February 2017, a team from Sightsavers travelled to Africa to support our partners (including Helen Keller International, the Carter Center, WaterAid and Simavi) with the sizeable task of conducting field surveys for the infectious eye disease trachoma in Malawi, Uganda and Tanzania. Trachoma, a neglected tropical disease, remains the world’s leading infectious cause of blindness, with 200 million people in 42 countries at risk. 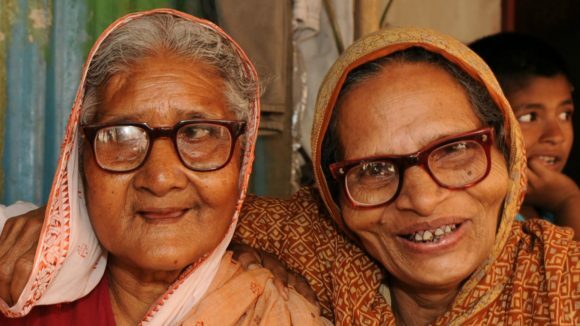 In an effort to control the disease, the SAFE strategy – surgery, antibiotics, facial cleanliness and environmental improvements – has been adopted, to reduce blindness and infections caused by trachoma. Until recently, attention has tended to focus on the role of antibiotics and surgery. But good hygiene is increasingly being seen as a key factor in preventing the disease from spreading, as it is very easily transmitted from person to person, by touch from dirty hands and faces. This is the main reason why women, generally the primary caregivers for children, are disproportionately affected by trachoma. 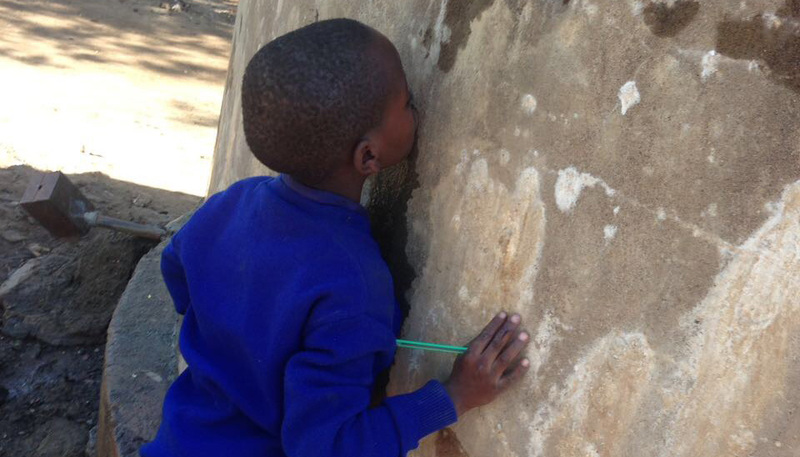 A small boy drinking water from a crack in the water tank (which was locked as it was for teachers only). Access: ensuring caregivers were available for the interview before they went out to work made for very early mornings. 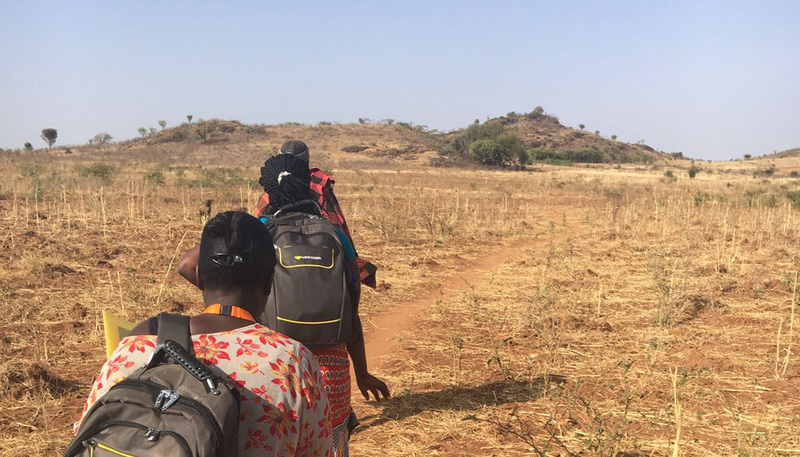 The survey team in Uganda heads off on foot to reach a remote community. 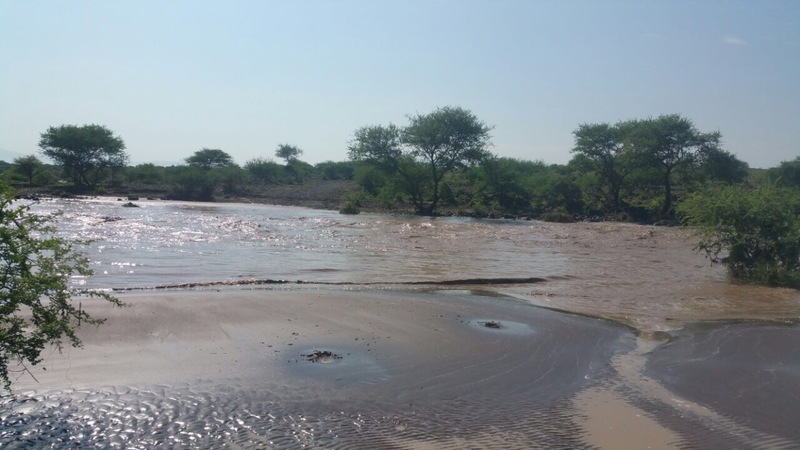 Despite all of these challenges, the teams of data collectors and supervisors managed to collect valuable data on water, sanitation and hygiene (known as WASH) and trachoma in schools and homes. The first round of data analysis has been completed and we’re now working to identify additional areas of the data to explore further. 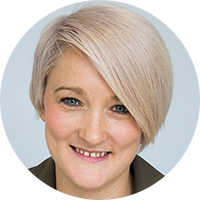 In Uganda, just over half of children under 15 observed in households had clean faces, and in one area, despite more than half the households having a water supply, less than two per cent had a designated place for hand and face washing. 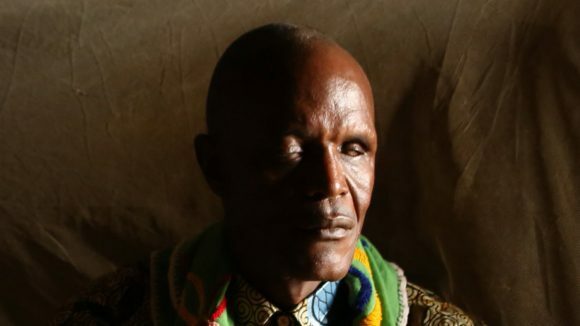 In Tanzania, just over half of adults and children interviewed were aware of trachoma, though less than a quarter of children knew it could cause blindness. About two-thirds of schools had hand washing facilities. Less than 10 per cent of children were observed to wash their faces when they washed their hands. In Malawi, just over half of households had a clean and functioning latrine, while less than 10 per cent of schools had sufficient functioning latrines for their students. A majority of schools had hand washing stations, but less than a quarter of them had soap available. Sightsavers is working with a wide variety of partners alongside the ministries of health in Malawi, Uganda and Tanzania to develop and deliver interventions designed to improve facial cleanliness, reduce environmental risks for trachoma, increase access to WASH facilities in schools and homes, and increase knowledge and awareness of trachoma risk and prevention strategies. Conducting the field surveys was a complicated and ambitious undertaking, but the knowledge we’ve gained from the results will help us target plans and programmes to bring us closer to the eventual elimination of trachoma. Note: Country-specific briefs and complete results from each country are available by contacting Leah Wohlgemuth, Regional Technical Advisor for NTDs at Sightsavers. 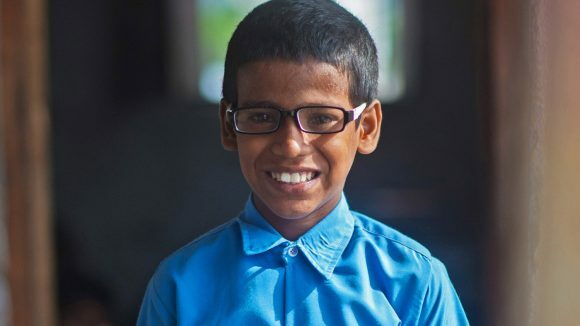 Sightsavers’ Nathan Hill travelled to India to meet schoolboy Shahid as he received his first pair of glasses – an experience he says he'll never forget. People in developing countries often don't have access to basic health services or medicines, but Coca-Cola can be bought even in remote corners of Africa. The suggestion that the North India office conduct a pilot in collecting disability disaggregated data excited me for two reasons.